Champions league Winners history and facts! READ MORE HERE! The UEFA Champions League was introduced in 1992. The tournament replaced the European Champion Clubs' Cup, or the European Cup, which had run since 1955. Real Madrid has won the tournament 12 times. Making them the most successful club in the competition's history. The UEFA Champions League Anthem contains three official languages used by UEFA: English, German, and French. You’ve read the facts about the UEFA Champion’s League competition but how much do you know about the trophy? Do you know what it’s made of and how much it weighs? 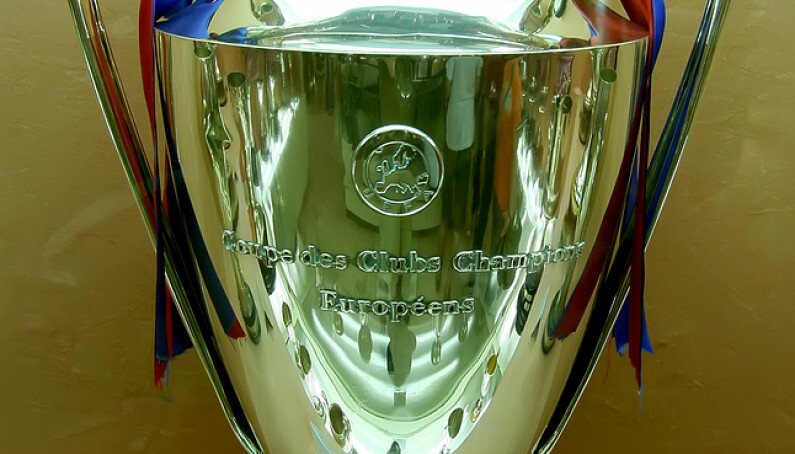 What is the Champions League Trophy made of? The famous trophy is made of silver and has been dubbed 'the cup with the big ears' due to its shape. Is there more than one Champions League Trophy? It used to be that the trophy became the property of a club who wins the competition five times or three years in a row. The original football trophy was donated by a French sports newspaper and was awarded to Real Madrid in 1966 for them to keep permanently after they won the tournament five times in a row. A replacement trophy was designed and there have been several remakes using the same design ever since. However, in 2009 the rules were changed and now the original trophy remains with UEFA and winning clubs are now awarded a replica. The trophy currently being awarded has been in use since 2006. How much does the Champions League Trophy weigh? The current trophy weighs 7.5kg (16.5 pounds) meaning it’s one of the heaviest trophies in sport. In comparison, the N.F.L.’s Lombardi trophy weighs just 3.1kg (seven pounds). What are the dimensions of the Champions League Trophy? What is the design of the Champions League Trophy based on? The current trophy is the fifth version of the current design. UEFA General Secretary Hans Bangerter commissioned it after Real Madrid was allowed to keep the original in 1967. How much is the prize money for the Champions League winners? How much does the Champions League Trophy cost? 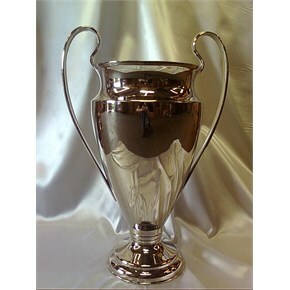 The cost of the current Champions League Trophy is not known. However the original, which was given to Real Madrid in 1966 in recognition of their six titles, cost 10,000 Swiss francs. Please explore our football trophies for inspiration for your next tournament or league!